I cannot stop thinking about the ridiculous foolhardy preposterous absurd harebrained ludicrous irresponsible unforgiveable three year contract extension just handed to Montolivo. It is literally unimaginable as to how anyone in their right mind would extend a player so mediocre, let alone let him continue to usurp the captaincy. I try to never hate any Milan players, least of all our captain. But I can’t help it. Montolivo has become one of the most hated players at Milan and has perhaps taken the blame for things that were not necessarily his fault. 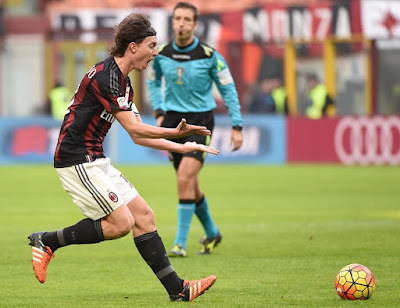 But for me, there is no love lost, so today I set out to explain why I hate Montolivo. Funny thing is, I realized I don’t need to write up anything original to explain this. I’ve been saying it all along. Four years ago, when Montolivo came to Milan, I wrote about his background and his inconsistency. While I tried to be optimistic, I repeatedly referenced the tragedy and suffering his inconsistency caused already at that point. I know people rarely click on the links, but this post is very eye-opening. Particularly when you consider that I typically only write the positives when a new player arrives. Right after that, I wrote about where Montolivo was going to play when he arrived, in “The Battle for Asgard.” Ironic that Montolivo would not only displace our “Thor” (Ambrosini,) tactically, but at the end of that season, when Ambrosini was publicly not renewed, our “Loki” would also usurp the captaincy from Ambrosini. I think this is when Montolivo became hated. People have said it was not his fault that Galliani announced Ambrosini’s departure without first telling the captain, or that Montolivo was announced as the new captain after only one year at the club without first discussing it with Abbiati, the rightful new captain. No, Galliani definitely did that on his own. But my point has always been that a true captain, someone worthy of the armband, would have never accepted the captaincy. Especially under such horrifying circumstances. And that is all on Montolivo. 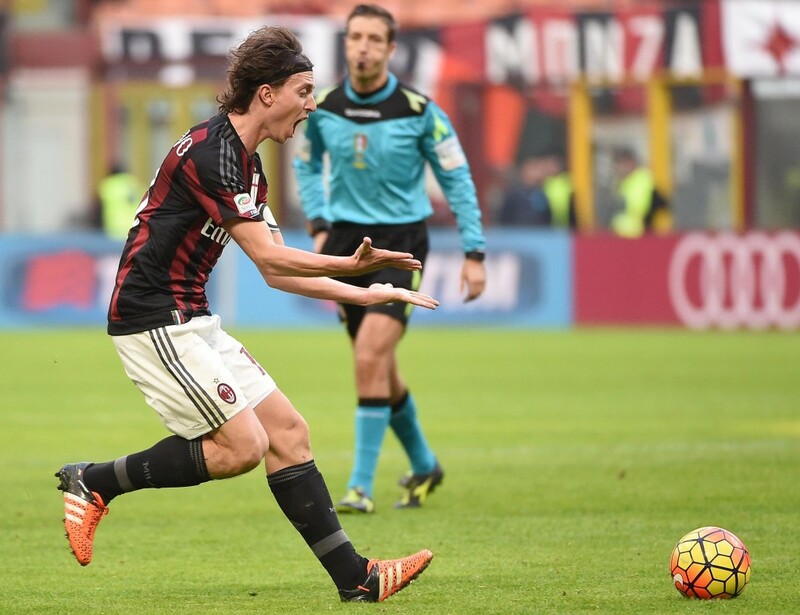 Sending people packing, particularly those who wore the armband, is a specialty of Montolivo’s. This past September, I wrote about “Milan’s Midfield Dynamics.” This was comparing and contrasting two center defensive midfielders, De Jong and Montolivo. De Jong had made the spot his, as well as the captain’s armband, while Montolivo was recovering from his long injury. But then, seemingly not ironic, as Montolivo failed to start immediately when coming back from injury, the media reported that someone went to Berlusconi to complain about Mihajlovic, just as they had done with Seedorf and subsequently Inzaghi. Both of those times, Montolivo had previously been benched. Both of those times, he returned to the starting lineup the very next match. And the same happened this time around. And while Mihajlovic wasn’t sacked until much later in the season, he also started Montolivo in every match he was available, effectively pushing De Jong out of the squad. He transferred out in January. I have no proof that this happened once, twice, or even three times. And people at the club keep insisting that Montolivo has been scapegoated for things, while not exactly denying this, either. But if you gave him the benefit of the doubt with Seedorf, despite his scathing words for him before and after being fired, and you could overlook the Inzaghi situation, then the third time was a charm. De Jong may have been limited tactically, but the fans saw leadership in him. We loved how the team played with grinta when he was on the pitch, and how good it felt to have someone behaving like a captain wearing the armband. 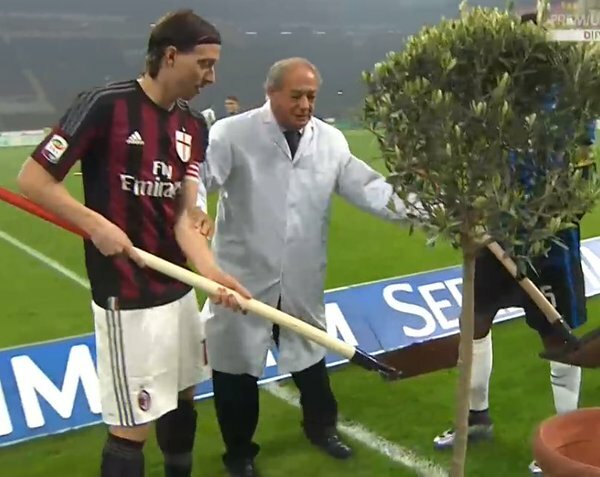 Even Montolivo’s most fervent supporters started losing faith after this. When he plays poorly, someone (or something) else is always to blame. Poor ball. But the number one reason I didn’t need to explain why I hate Montolivo is that I already did. In December, when the three year extension concept was announced, I wrote “Not My Captain.” While I am quite sure I would be livid if Milan were to renew any other aging mediocre midfielder for three years at this point, the fact that he ever got the armband and the crime that he still wears it makes this renewal a cardinal sin. Not only does it sentence Milan fans to three more years of one-dimensional, inconsistent (but mostly terrible) football at Montolivo’s trophy-less hands, but it also represents the loss… nay the slaying… of Milan class. If there were every anything besides the parade of mediocre players these past four years that demonstrates Milan’s demise, Montolivo is it. He represents every bad decision management have taken. And at a time when everyone has simply had enough, a three year renewal shoves it all down our throats again. Three freaking years. It’s like a death sentence. Again, I know people often don’t click on the links, but this time I implore you to read. And listen to the latest podcast (amongst so many others.) It’s eye opening to see the misgivings from day one and then to see how badly things have gone since. How many leaders he has displaced, how many players who were more consistent and talented that are no longer at Milan because of him. How many coaches that he undermined, and how many fans he lost completely. For me it’s so much more than images of him ducking in the wall or sauntering after a goal conceded when he lost the ball or the challenge that led to the goal… again. Not just the vacation pics tweeted while his teammates played, nor missing the last game of the season because his daughter was born and he hadn’t gotten much sleep. It’s more than just the stories of Abbiati lecturing a player who behaved poorly, then realizing that no one had his back, particularly not the one marauding as captain. It’s all of these things and more. I was apprehensive about his playing skills when he came, but I had no idea that his “leadership skills” would make me want to take my life. Or someone’s life. 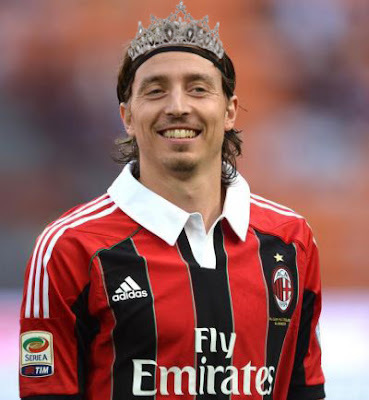 Perhaps now you’ll understand why I hate Montolivo.